Then I discovered that Linda of Putting You In Stitches has the perfect solution. 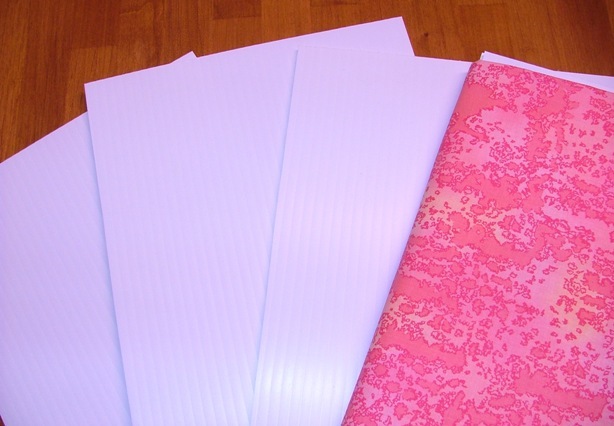 She has fabric boards that are cut to just the right size to put my fabric on with ease. Some of my boards have less than a yard, and some of them have more than 4 yards on them! Check out what a difference it makes with organized fabric shelves! You can order these fabric boards by contacting Linda via email at Linda@PuttingYouInStitches.com. Check out her photo memory quilts while you are there! Enjoy!